RUTH L. DAVIS-BROWN YOUNGSTOWN – Services will be Friday, Feb. 15, 2013, at 11 a.m. at the L.E. Black, Phillips & Holden Funeral Home for Mrs. Ruth L. Davis-Brown, 83, who departed this life Wednesday, Feb. 6, 2013, at Beeghly Oaks Nursing Home. Mrs. Davis-Brown was born Nov. 14, 1928, in Youngstown, a daughter of Clarence and Aretta Young Barnes. She attended Newark City School System. She was a member of the Community Church of God, its choir and culinary committee, and the NAACP. She had been employed at General Electric, Federal Enamal Plant, was a domestic technician, and worked at the Crime Prevention Center for 14 years, retiring in December of 2002. A loving, dedicated homemaker, who loved and cherished her family, Ruth was a member of the Himrod Church of God since the late 70s. She was a member of the Choir, Culinary Ministry, Vacation Bible School, Sunday School, Prayer Ministry and served as Vice President of WCS and Chairperson of the Vintage Group. 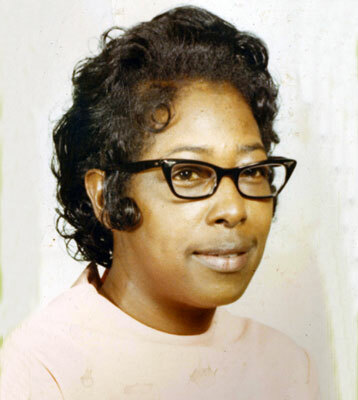 Her first husband, Julius Davis, whom she married June 3, 1963, passed away April 23, 1997, and her second husband, James Brown, whom she married June 22, 2001, passed away Aug. 12, 2005. She leaves to cherish her beloved memory, three children, Julia Davis and Wade Davis, both of Youngstown, and Julius (Stephanie) Davis Jr. of Elk Grove, Calif.; two sisters, Irma (Edward) Williams of Youngstown and Cheryl (Robert) Turner of Columbus; a brother, Richard L. (Debra) Barnes of Elk Grove, Calif.; Darryl Miller of Pittsburgh; 10 grandchildren, including Crystal Merchant (Michael) Howell, Bryant Merchant and Jerry Merchant, whom she reared; 14 great-grandchildren; six great-great-grandchildren; and a host of family and friends. Besides her parents and husbands, she was preceded in death by her stepmother, Cleo Barnes; a daughter, Jerrine Merchant; two brothers, Clarence D. and Raymond Barnes; and two sisters, Aretta Douglas and Beatrice Moore. Friends may call Friday from 10 to 11 a.m. at the funeral home. Please share your memories of Ruth L.